In today’s world when making videos has become a lucrative business, many millennials race to the video sharing platform to try their hands on making a living therein. Funny enough, they don’t need an elaborate setting, all they require is a knack for creativity with which they can turn the commonest of activities into a great venture. One of them is Jesse Riedel better known as JesserTheLazer. He is an internet celebrity famous for his basketball-related contents on YouTube. He is also an NBA 2K gamer. His ability to connect with his fans and keep them entertained as well as his funny videos have helped earn him the fame he enjoys today. He is also a star across other social media platform with more than 2.1 million subscribers on YouTube and over 500,000 followers on Instagram. He also has a secondary YouTube channel where he posts daily Fortnite Battle Royale content. He was born Jesse Riedel on the 27th of March 1999, in Los Angeles, California, the United States. His father, Guy Riedel is a movie producer with such works as Office Space and Wedding Crashers to his credit. He has a brother James who he features in some of his videos. His mother also appeared in one of his videos, a Q&A session. With a producer father, Jesserthelazer was seemingly training for a career on the internet his entire life. When he was in elementary school, Jesser enjoyed filming skits with his brother and in middle school, he graduated tof learning how to edit by making Minecraft videos. He graduated a year early from high school by passing the California High School Proficiency Exam and skipped college to focus on his blossoming career. Jesserthelazer created his first YouTube channel in 2012 and uploaded his first video the following year. His contents range from real-life NBA action, challenge and wager videos, to the video game NBA 2K. He later became a member of the NBA 2K-focused web group 2Hype and is one of their youngest members. Jesser has collaborated with a number of other famous YouTubers such as Cash Nasty of 2Hype as well as featured a host of NBA personalities, most of whom are his friends, on his channel. In August 2017, the NBA guard James Harden appeared in one of his videos. His favorite basketball player is Blake Griffin and he is a fan of the Los Angeles Clippers. His channel now has over 2.1 million subscribers with more than 620 million views. In 2014, he launched a second channel, JSR where he posts daily Fortnite Battle Royale content. Jesser has also grown this channel to an enviable height, with more than 700k subscribers and over 62 million views. Jesserthelazer also sells basketball t-shirts along with RaspberrytheArtist. Jesserthelazer could easily make any NBA team, if not for his elite skills and athleticism, then for his size. He stands at a height of 6 feet 2 inches (188 cm) and weighs 77 kg (170 pounds). The basketball enthusiast is also gaining momentum on the photo-sharing website, with over 500k followers. He is live on Twitch and also has a robust following of 322k on Twitter. His main and his video games channels average 500,000 and 400,000 views per video, respectively. His brother, James is also a YouTube star who goes by the name Jiedel. He is famous for his NBA 2K gaming playthroughs, hacks, and montages and later become a member of 2Hype. His mother has also appeared on his videos. Jesser has a dog, which he addresses as his son. The dog, named HumphreyTheLazer also has his own Gram account with 117k followers. Jesser is in a relationship with his girlfriend who is identified as Iman. She appeared in one of his videos titled Mystery Spin Wheel Forfeit Challenge vs My Girlfriend NBA 2K19 in February 2019. The video has amassed over 630k views and counting. While in elementary school, he filmed skits with his brother and was a Minecraft YouTuber before transitioning to NBA 2K. 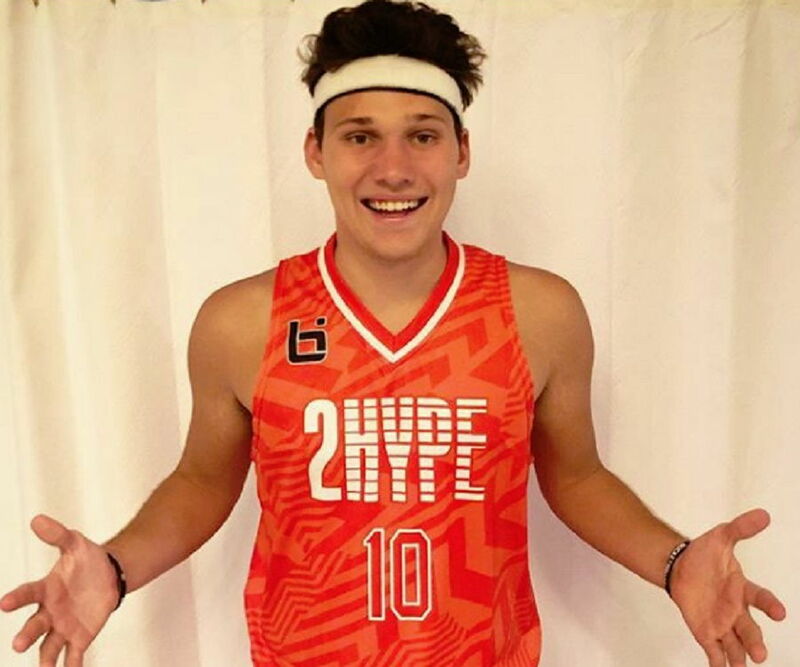 As a freshman in high school, one of his videos titled NBA 2K14 In Real Life garnered hundreds of thousands of views within a short time.